The Reserve at Lake Travis Event THIS Weekend! 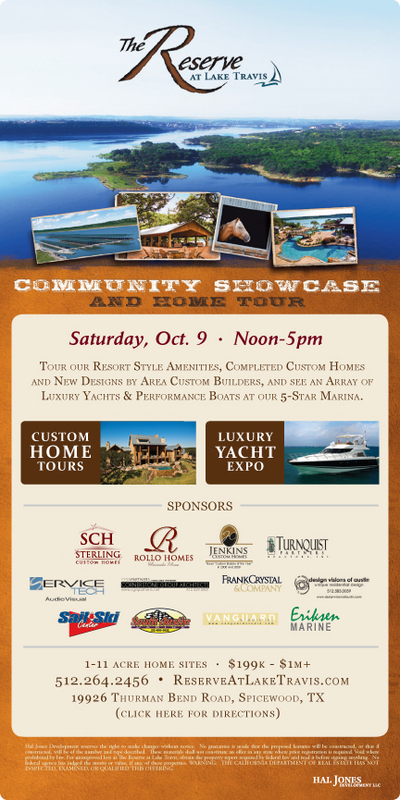 Come see us this Friday at the Reserve at Lake Travis Community Showcase and Home Tour! We will be participating in the Architect's Corner in the Cypress Club Lodge. Feel free to stop by and say hello and check out the newest community on Lake Travis.